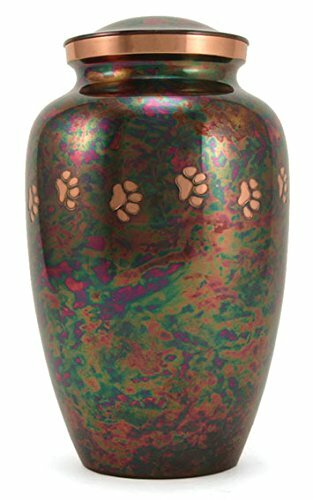 Raku cremation urns are a popular choice for holding both pet and human cremation ashes. Why are they so popular? Well, it is all in the design. Because of how raku urns are made, they have beautiful flashes of color. Blues, silvers, reds, and whites. 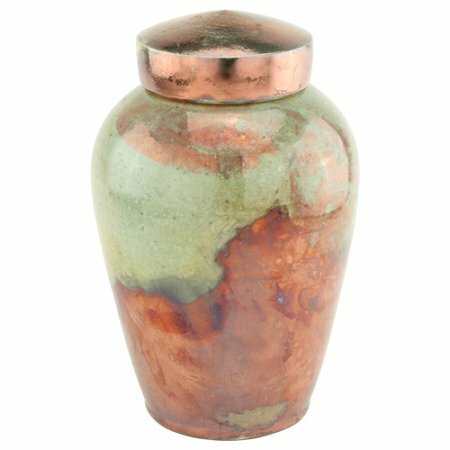 In this post, we highlight our favorite raku urns for ashes that we found on Amazon and our site! Make sure to read to the very end, where we will have an exclusive coupon code for our raku urns sale! But before we get to that a brief explainer on how raku urns are made. Raku pottery making has its beginnings in Zen Buddism in the early 1550s. It was used to make teaware. Today raku firing is used to make all sorts of pottery, including cremation urns. Each raku urn is handmade individually. Because of this, there will be very slight variation in color. The urn is heated in a kiln until it reaches 2000°F. Once it is glowing with heat, it is pulled out and placed in combustible material. Most artisans use wood shavings. 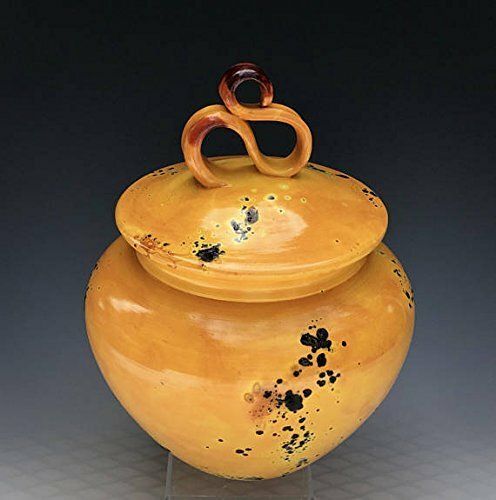 As the urn is smoldered, flashes of color begin to show and thus you have the raku cremation urns you see below. As promised, here are our top 10 raku cremation urns. Each one of these can be found on Amazon or our site. Remeber do not forget to read to the very end. Where we will give you a special gift for reading! Place this urn in a dining room or study and it will fit perfectly. 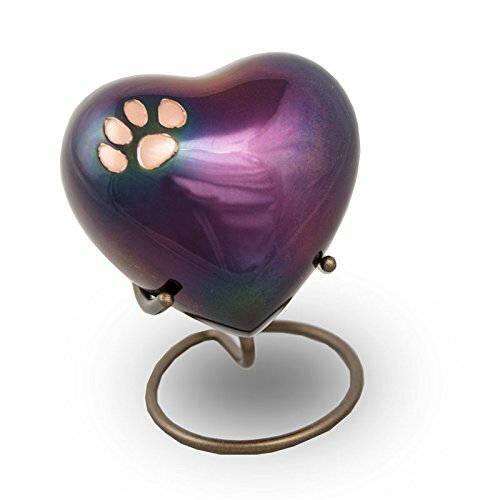 We can not forget about cremation urns for our pets. Stick and stones may break your bones but this urn will never hurt you. We can not forget about our fur babies, another option for them. Ancient spirits shine guiding light. Perfect for those who love insects. 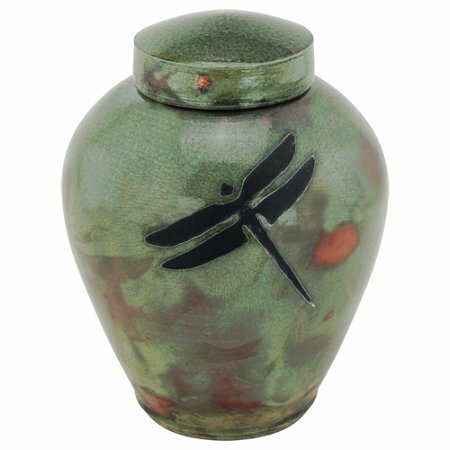 Another variation for those who love insects, this dragonfly urn is perfect for you. 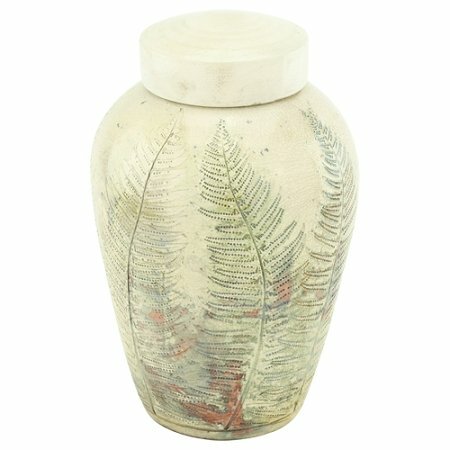 Classic urn-shaped but in unique colors. Made for a child's cremation ashes, this urn as a cute bear on top. A calming piece of raku pottery. This urn blends in great in a foyer. Our favorite piece from Dodero. This raku urn features a wave on top. Elegant indeed. 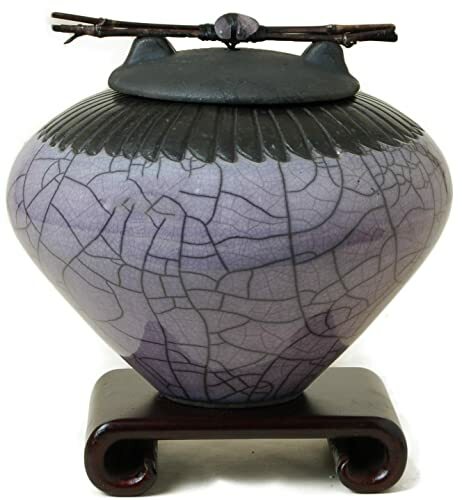 This raku urn will stand out in your home. Keep your pack together. This urn features a wolf pack running alongside each other. This is our favorite raku urn. The detail and coloration of the turtle on top makes this a beautiful piece to show off in your home. 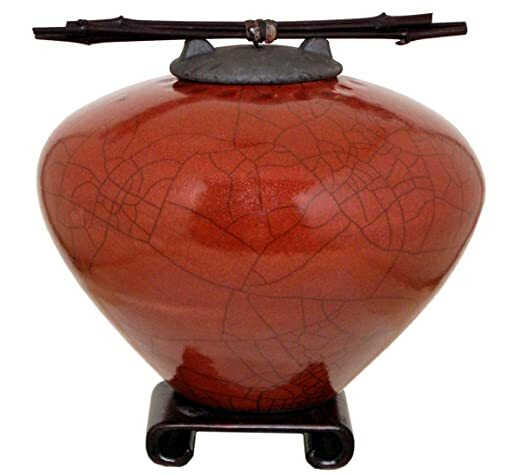 Just for being a reader, we want to offer you a special discount code for our raku urns sale. 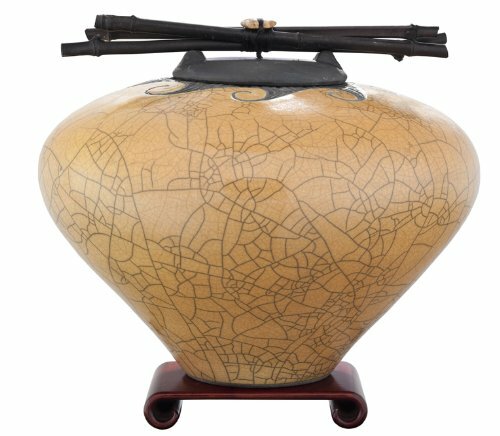 Use code: FuneralDirectRaku to get $25* off our raku urns.